This shapeable cowboy hat is one heck of a sharpshooter! 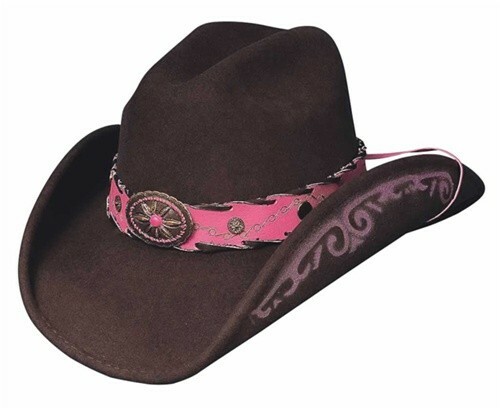 Aptly named after Miss Annie Oakley, this wool hat has a 3-1/2 inch brim and cattleman crown that measures 4-3/8 inches. 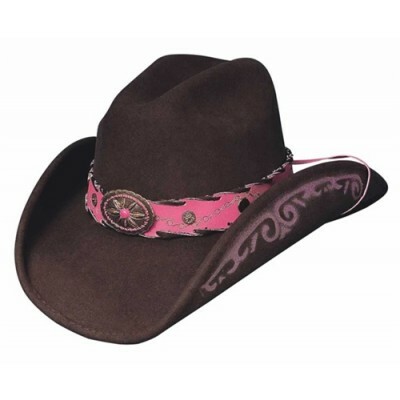 Pink stitching lines the band and complements the oval concho in the center. If you're inexperienced in firearms, please resist the urge to preform shooting tricks while wearing this hat!